The front glass door features book-matched jewel box white ash burl overlays, and decorative keystone and moldings. 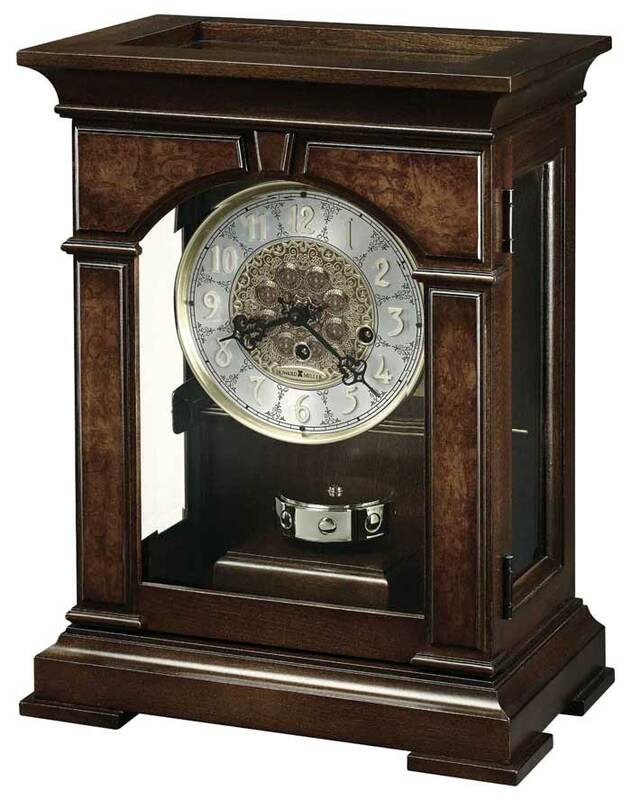 The door opens for easy access to the dial and movement. 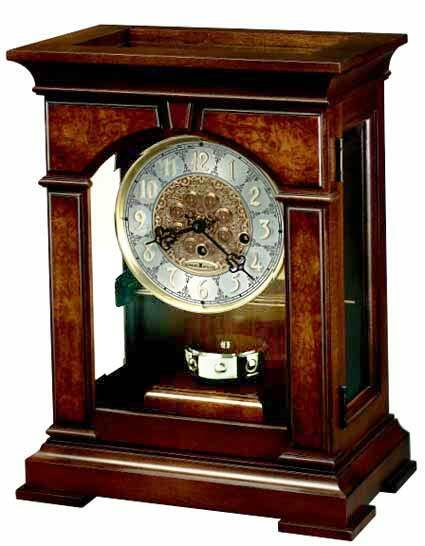 The highly ornate dial features a polished brass finished bezel with an intricate center disk and a silver chapter ring with applied brass Arabic numerals and black hands. 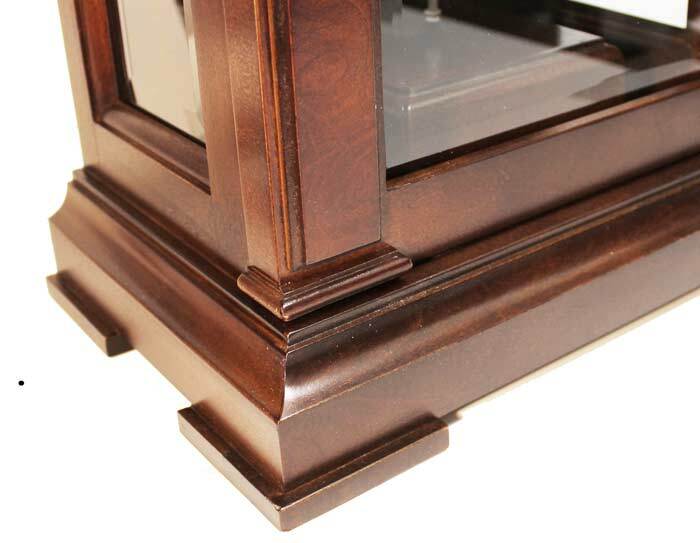 Cherry Bordeaux finish on select hardwoods and veneers. 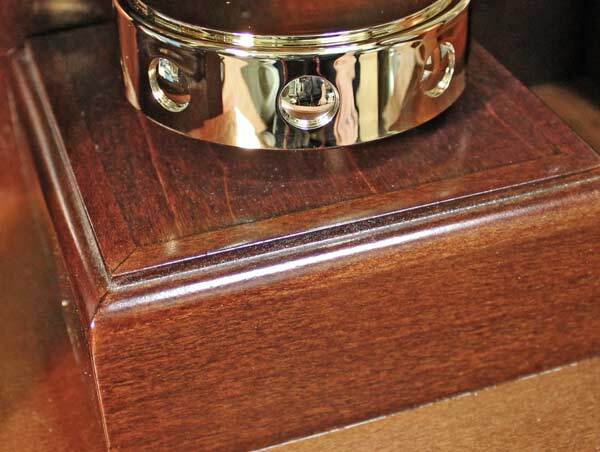 A revolving, polished brass finished pendulum is in clear view below the dial. The pendulum movement requires 1 AA battery (not included). 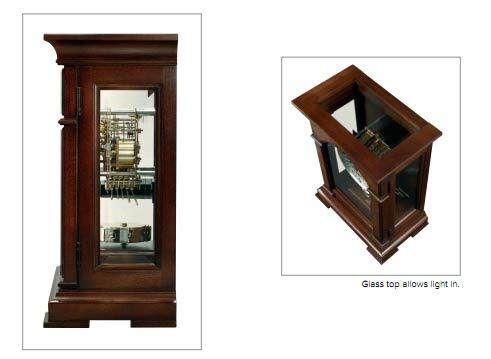 Beveled glass panels throughout offer a view of the intricate workings of the brass movement. Key-wound, German Westminster chime movement with chime silence option and durable bronze bushings requires winding once per week. 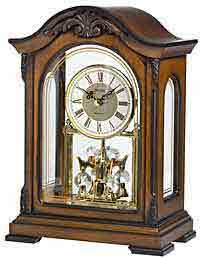 Size: Height 16-3/4" Width 12-1/2" Depth 7-3/4"
Clocks for sale at The Clock Depot including the 630-266 at discount prices.